Hawaii is now reporting that Obama's original paper version of his birth certificate was lost in a fire? How many different stories are they going to release about ONE man's documents? How many different stories are the brainwashed fools in this country going to accept? This is a non-issue? I could not tell, because the left are fighting for their very survival to make this issue go away rather than a court trial. We are past the point of documents, this is clearly a cover up and the people need to accept the fact that their president is ineligible and a fraud. Obama should be declared guilty of fraud in absentia of court, due to the intimidation and corruption of the Congress, Senate, the Supreme Court, Federal courts and the Joint Chief's. It is time for special prosecutors to be appointed and depositions under oath to be taken. The American people need to speak out and say "enough is enough". Obama? Your deception in this entire controversy proves your guilt. The woman that lies in the Sky News video says that Obama "already released his records numerous times." Releasing them on the internet is not valid procedure, these documents need to be released in court so they can be examined by experts. Obama, his staff, Pelosi, Howard Dean and the media puppets that are protecting Obama - Beck, Breitbart, Bill O', Chris Matthews, Keith Olbermann and that other freak from MSNBC need to be investigated by the FBI and they need to testify under oath PUBLICLY. 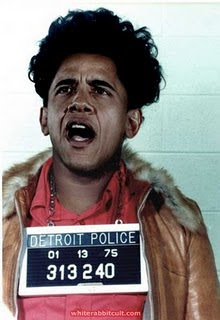 The people need to know if there is a conspiracy by the media to cover up multiple felonies by the President and if so, they need to be thrown into the jail cell next to Obama. This is bigger than Watergate, because the media did not protect Nixon, but they are protecting Obama. This issue should have been cleared up before the election, but the cover up was already locked in. in this conspiracy of treasonous behavior. Olympic Shocker! - AKA Obama Wins Gold. The International Olympic Committee stunned the world this morning when they awarded U.S. President Barack Obama a gold medal for Men's Skiing, even though he's never skied. An IOC spokesman said, "Barack Obama is going downhill faster than anyone this year." The White House called for a "simple up-or-down" vote on health-care legislation Sunday as House Speaker Nancy Pelosi appealed to House Democrats to get behind President Obama's chief domestic priority even it if threatens their political careers. In voicing support for a simple majority vote, White House health reform director Nancy-Ann DeParle signaled Mr. Obama's intention to push the Democratic-crafted bill under Senate rules that would overcome GOP stalling tactics. Republicans unanimously oppose the Democratic proposals. Without GOP support, Mr. Obama's only chance of emerging with a policy and political victory is to bypass the bipartisanship he promoted during his televised seven-hour health-care summit Thursday. "We're not talking about changing any rules here," Ms. DeParle said. "All the president's talking about is: Do we need to address this problem, and does it make sense to have a simple, up-or-down vote on whether or not we want to fix these problems?" Ms. DeParle was optimistic that the president would have the votes to pass the massive bill, but none of legislation's advocates who spoke on Sunday indicated that those votes were in hand. "I think we will get to that point where we will have the votes," predicted Sen. Robert Menendez, New Jersey Democrat, who is a member of the Senate Democratic leadership. "I believe that we will pass health-care reform this spring." In a sober call to arms, Mrs. Pelosi, California Democrat, said lawmakers sometimes must enact policies that, even if unpopular at the moment, will help the public. "We're not here just to self-perpetuate our service in Congress," she said. "We're here to do the job for the American people." Mrs. Pelosi said it took courage for Congress to pass Social Security and Medicare, which eventually became highly popular, she said, "and many of the same forces that were at work decades ago are at work again against this bill." It's unclear whether Mrs. Pelosi's remarks will embolden or chill dozens of moderate House Democrats who face withering criticisms of the health-care proposal in visits with constituents and in national polls. Republican lawmaker unanimously oppose the health-care proposals, and many GOP strategists believe voters will turn against Democrats in the November elections. Mrs. Pelosi, from San Francisco, is more liberal than scores of her Democratic colleagues, but she generally walks a careful line between urging them to back left-of-center policies and giving them a green light to buck party leaders to improve their re-election hopes. Her comments seemed to acknowledge the widely held view that Democrats will lose House seats this fall -- maybe a lot. They now control the chamber 255 to 178, with two vacancies. Mrs. Pelosi stopped well short of suggesting Democrats could lose their majority, but she called on members of her party to make a bold move on health care with no prospects of GOP help. Her comments somewhat echoed those of Mr. Obama, who said at the end of Thursday's bipartisan health-care summit that Congress should act on the issue and let voters render their verdicts. "That's what elections are for," he said. The White House is redoubling efforts to remind voters that the Senate passed an Obama-backed health-care bill in December with 60 votes. Every Republican voted against that bill. A Republican Senate victory in Massachusetts in January, however, left Democrats one vote shy of the number necessary to overcome GOP filibusters. As a result, a new plan would call for the House to pass the Senate bill and send it to Mr. Obama. The Senate would then use budget reconciliation rules to make several changes demanded by House Democrats. Those rules prohibit filibusters. Exactly what the legislation would look like remained a matter of negotiation within Democratic ranks. Senate Majority Leader Harry Reid, Nevada Democrat, "is working with his caucus, the White House and the House leadership on strategy and next steps," Reid spokesman Jim Manley said Sunday. Senate Minority Leader Mitch McConnell, Kentucky Republican, renewed his party's demand that Obama and the Democrats start over and write a bipartisan health-care bill. He said that while the reconciliation process has been used to pass legislation in the past, it should not apply to health-care legislation. "There are a number of other Republicans who do not think something of this magnitude ought to be jammed down the throats of a public that doesn't want it through this kind of device," Mr. McConnell said. Mrs. Pelosi said that "in a matter of days" Democrats will have specific legislative language on health care to show to the public and to wavering lawmakers. She predicted voters will warm up to the bill once they understand its details. "When we have a bill," she said, "you can bake the pie, you can sell the pie, but you have to have a pie to sell." Mrs. Pelosi appeared on ABC's "This Week" and CNN's "State of the Union." Ms. DeParle was on NBC's "Meet the Press," while Mr. Menendez appeared on "Fox News Sunday" and Mr. McConnell spoke on CNN. Glenn Beck tries to insult our intelligence, he tries to paint us with the same broad brush as KKKer's, Neo Nazis, and Survivalist Anarchists. He says we are extremists far to the Right, of any group in the nation. That we are a racist radical element within the Tea Party. Beck, we are the Tea Party. We read and understand the Constitution. We respect it as the Supreme Law of the Land. We hold ourselves in obedience to this document, the whole document, just as our forefathers. We will prosecute those who break its laws and defend it against all enemies both Foreign and Domestic. Is that what has you nervous Glenn ? Are you right with the Constitution? Are you afraid you won't be able to spend your filthy money. We all will face our judgement day. Last September 12th when I was in the crowd listening to the speakers on the Capitol steps, one of the Tea Party speakers took a moment to announce the Capitol Police had estimated the crowd at 1.5 million and still growing at 2 p.m. One officer told the speaker, it was the largest crowd he had witnessed in 20+ years of service, bigger than any inauguration, including Obama's. About the same time a news helicopter was seen overhead slowly flying a circle above the throng. While standing in the crowd I recall overhearing two men directly in front of me discussing the crowd size. The mainstream media will probably say the crowd is 50,000. that's O.K., next year we'll all come back with a friend. Funny the things that stay with you. Put me down as going back next September, but instead of just one friend, I'll be there with 4 friends. East Coast, West Coast, South Coast we're going. Last August those around me would ask "What if after you get there, and the thing is a big flop?" "No matter" I would say "If it's just me and a dog, I'm still marching." All of us went on faith, every one of us. We showed up at the appointed time, in the appointed place, and were repaid far beyond any expectation. Patriots from all 50 states, were present, one citizen I learned had flown from Australia. I thanked and was thanked, for showing up. We all replied "Wouldn't have missed this for the world....America is just too important not to be here." That was why we found a way to make it. All of us would have rather spent our money on something else. We would have all rather spent our time doing something more pleasant. We chose to be there representing all Americans who still believe. We knew not everybody that wanted to be with us were present. We all had loved ones and friends that just flat couldn't be there. When I saw a man in a wheel chair wheeling himself down Pennsylvania Avenue with us, I considered how hard it must have been for him to have travelled the distance he came and the money he was sacrificing from his personal care. Parents were pushing strollers, there were elderly that had a hard time walking the 1.4 mile length of Pennsylvania Avenue but they came, and nothing was allowed to stop their being in Washington that day. Orly Taitz was there, giving ever more on top of what she has already given to her adopted country. Stories were all around me. American Patriotism, for the eye to behold,that rivaled any event in our nation's history. 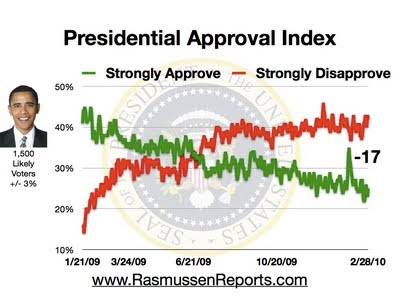 Like I said, I am going back 9/12/10, six weeks before the mid term elections. Consider the statement millions and millions can make just as the country goes to the ballot box. Now is the time to spread the word, and begin planning to attend this gathering. Nothing will stop me. Will anything stop you? Well, thank Heaven for small favors. Note: In Statutory Construction, the meaning of the term has to be interpreted according to the usage of the day it was used. At the time when the U.S. Constitution was drafted, everybody knew what is meant by the term “Natural Born Citizen” and they didn’t have to define it in the Constitution itself because the latter is not a dictionary but a contract with the people. Such Contract is enforceable by any citizen bound by it, and therefore any citizen has full legal standing to question the eligibility of the candidate for the President of the U.S.
"The natives, or natural-born citizens, are those born in the country, of parents who are citizens. As the society cannot exist and perpetuate itself otherwise than by the children of the citizens, those children naturally follow the condition of their fathers, and succeed to all their rights." John A. Bingham (the chief framer of the related 14th Amendment of the Constitution): "Every human being born within the jurisdiction of the United States of parents not owing allegiance to any foreign sovereignty is, in the language of your Constitution itself, a natural born citizen." Before I start reading this lengthy FAQ is there a brute force resolution, a Gordian knot solution to this so-called Barack Obama birth certificate controversy? Why all the fuss about his birth? 1. Yes, there is a brute resolution. 2. This can be resolved in ten minutes if Barack Obama authorizes the release of a copy of his so-called LONG FORM (or “vault”) Certificate of Live Birth, that original document that shows where he was born, in what hospital, time and date, the attending doctor, name of parents, whose signatures appear in the document etc..
3. This is called LONG-FORM COLB for the purposes of this FAQ. 4. In all the countries in the world, it is this LONG FORM birth certificate that is the “best evidence” and the “conclusive proof” of birth. 5. In other words, the normal birth certificate that anybody presents when applying to school, for a passport, or for a school age group baseball league. 6. So far Obama has shown only the SHORT FORM (which is only an abstract and contains minimal information), which is a computer-generated “secondary” evidence that is derived out of the original source document. The legal probative value of this Short-Form is practically nil in the courts of law when the information on this document is challenged legally and the challenger demands the “best evidence” which is the LONG FORM. Of course, the original source document, the “primary evidence” document, is the LONG FORM COLB. See Wigmore’s definitive textbook on Evidence. 7. It is this refusal by Barack that is the source of this controversy. Obama must show his proof of eligibility but he doesn't have to present to every citizen in the US his own copy, if he is concerned about this privacy. At least he needs to show it, in closed door proceedings, to a competent court or authority who can legally confirm that he has legally complied with the legally required Natural Born Citizenship. 8. What’s complicating the issue is that even Barack’s Kenyan grandmother has admitting in a taped interview with an Anabaptist bishop that she witnessed the birth of Barack in Kenya, specifically in Mombasa, an island only 14 square km in size. 9. Finally, since Barack Obama was a British subject or citizen at birth, this fact alone makes Barack a non-natural born citizen, according to the constitutional experts citing law and jurisprudence. 10. Obama doesn't have to present to every citizen in the US his own copy. He only needs to show it, in closed door proceedings, to a competent court or authority who can legally confirm that he has legally complied with the legally required Natural Born Citizenship. 11. What would have happened in the old days of the United States if President George Washington were succeeded along the presidential line by a hypothetical son of Major-General William Howe who commanded the British forces in the Battle of Bunker Hill and a hypothetical American citizen mother? After the hundreds of thousands of lives lost in the American Revolution, do you think that the American constitution would have considered that hypothetical son a Natural Born citizen? This is a good way to portray Barack Obama II’s citizenship being born to a British father and an American mother, regardless of whether he was born in Hawaii or Kenya. 13. Because of the absence of Obama’s Long-Form or Vault Birth Certificate only the courts can ascertain the citizenship of Obama. 14. Scenario One: Barack was born in Kenya to a US citizen mother who was less than 19 years old and a father who was not a US citizen. 15. Scenario Two: Barack was born in Hawaii but his father was British anyway. 16. This is a legitimate legal issue that needs to be settled once and for all by the Supreme Court of the United States (SCOTUS). But instead of a trial on the merits, the courts have raised technical issues of proper standing of the plaintiffs. For the lawyers out there, be aware that so far there has been no trial on the merits regarding Obama’s citizenship. If a citizen has no standing to protect the Constitution, then who has? To some Tea Party Leaders; this is a Constitutional issue not a crazy fringe conspiracy theory! (ACTION ALERT AT BOTTOM) Some are in high gear to put an end to the Constitutional Eligibility movement, using Alinsky tactics. And it's not coming from the left. Here's a snippet from Politico; (2/27/10)'Conservatives target their own fringe' - After months of struggling to harness the energy of newly engaged tea party activists, the conservative establishment — with critical midterm congressional elections on the horizon — is taking aim for the first time at the movement’s extremist elements. “I don’t believe we should be giving [extremists] a platform or empowering them to do anything based off their conspiracy theories,” said Ned Ryun, president of American Majority... More labeling & disinformation HERE. A primer on political reality' - But the birthers and Birchers, militias and nativists, racists and conspiracy theorists do exist. Some, having waited decades in deserved obscurity, hope to ride a populist movement like remoras. But there are others, new to political engagement, who have found paranoia and anger intoxicating. They watch Glenn Beck rail against the omnipresent threat of Saul Alinsky, read Ayn Rand's elevation of egotism and contempt for the weak, listen to Ron Paul attacking the Federal Reserve cabal, and suddenly their resentments become ordered into a theory. Such theories, in politics, can act like a drug, causing addiction, euphoria and psychedelic departures from reality."... [That would make Hitler proud! The rest of that garbage can be viewed HERE. Snippets from Ned Ryun, president of American Majority; (2/12/10)'On Birfers and Truthers,' - "I see that Erick Erickson of RedState has made it clear that RedState is not the place for birfers or truthers. Neither is American Majority. I second Erick’s comments that birfers and truthers have no place among us, nor do they have a place in the tea party movement... ...more HERE. ...So the birfers and truthers can take their little conspiracies and start their own little organizations and movements and see how far it gets them. Which will be nowhere."... ...rest HERE. You should really pay attention and see what happens when you attack and ridicule your own supporters. Just go HERE and view Glenn Beck's ratings due to the actions of the Conservative Monster, Operation Flood it and the actions of thousands of Americans that REALLY do care about the Constitution. 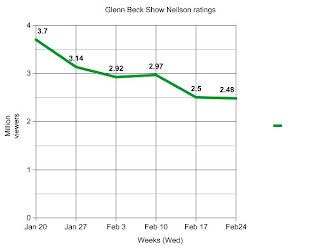 Glenn Beck Show ratings chart created by Citizen Wells. View CW's Glenn Beck report HERE. Ned Ryun, and whoever else, pay attention; I'm not a "truther" nor a "birther" or any other conspiracy theory fringe person. I'm an American and a proud conservative that loves this country and what she stands for. I understand the Jihadi threat we and the world face. To equate the two is asinine and shows the lack of understanding or outright treason on the part of some. Mr. Ryun & Erick Erickson, who are you to tell others they have no place in the tea party movement? 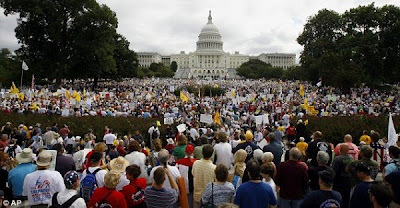 The Tea Party is made up of WE THE PEOPLE, not a small group of political party insiders. And to call it a "judicial coup" also shows the lack of understanding of this issue, the lawsuits, quo warrantos and the Constitution. Ned, if you can't defend ALL of the Constitution then you should remove ALL of the Constitutional content you have posted at NedRyun.com. We don't need lip service! It's as simple as this; it is no conspiracy theory that Obama is fighting the release of all his past records, with lawyers paid with our tax dollars. It is no conspiracy theory that Obama's father was never a U.S. Citizen. We know from several SCOTUS rulings that "all children born in the country of parents who were its citizens... " make up the “natural born Citizen” category. The SCOTUS says that there have never been any doubts as to the status of these children. As to children born in the U.S. to parents who were not U.S. citizens at the time of their birth, there have been doubts. In other words, "natural born Citizen" under this formulation requires two generations of U.S. citizens, one generation in the parents and the other in the child himself/herself who also must be born on U.S. soil. It is important to understand that we are focusing on what is a "natural born Citizen" under Article II which specifies the requirements to be President and not on what a "Citizen" is under the 14th Amendment or under some Congressional Act which does not relate to Article II of our Constitution regarding natural born Citizenship. Obama, while having his mother's U.S. citizenship generation, is missing that of his father's, for his father was a British subject/citizen at the time of Obama's birth. He therefore cannot be a "natural born Citizen," even if Obama was born in Hawaii. Unless Obama is 200+ years old he is not Constitutionally Eligible to be POTUS. This is a Constitutional issue, NOT a conspiracy theory! I was reading a weekly talk radio rundown by Kathy Shaidle and a bit of Inspiration sparked as the Glenn Beck situation fell into place with most talk radio types wondering just like they are about Democrats on this suicide vote for Obamacrypt in what they are doing really. 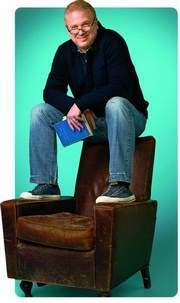 This blog was first to warn readers that Glenn Beck was a fraud, a parrot like Shep Smith and the nuance of fair and balanced at FOX who are Obamites and simply like Noel Sheppard, and, honestly Keith Olbermann who are paid to herd the volatile masses for mass profits in this constant cartel game of stirring up American and pitting them against each other so an Obama can install Marxist policies. I noted in tracking Barack Obama that he is a proven mole of the Muslim oil mafia in first taking funds from the Islamofascists via black revolutionaries to gain admission to Harvard and later taking direct funding from Saddam Hussein Islamocommunists in their bag man Nahdmi Auchi and his wife for his senate bid and Georgian mansion. Mr. Obama was part of the communist sodomite clique of Chicago in Frank Marshall Davis, Bill Ayers in being his control, the Alinsky manifesto and his current control in "watcher" Val-erie Jarrett holds the name still of Vernon Jarrett who was the celebrated and eulogized communist organizer in Chicago. This blog pointed out the well known proven fact that Jesse Jackson was an FBI operative who for years was in place to keep the "Jeremiah Wright" black revolutionary group from becoming a Charlie Manson revolution via the Black Panthers which Bill Ayers was monitoring too, before he blew up his own terrorists who were about to detonate a bomb on the US military at Obama's sometime school of Columbia University. Mr. Obama chose the Chicago road to gain access to this clique and married Michelle Robinson for that very purpose of the black vote. His entire purpose in 2007 was to bring in the black vote for a retiring and ineffective Jesse Jackson, but in 2008 when the Clinton's were on the punish list of the European cartel for Bill selling Asian uranium to China, Mr. Obama was they humiliation candidate to teach the Clinton's a lesson. 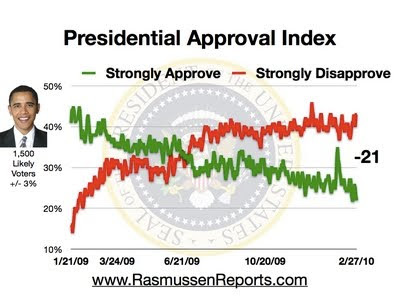 This is the meteoric rise of Barack Hussein Obama. In this the globalist cartel has placed many shills to spew propaganda in choosing complete unknowns like washed up sports announcer Keith Olbermann and washed up comic Al Franken to give the left something to rally behind. The meteoric rise of Glenn Beck was the same fraud. He simply uttered Obama was a racist in a culture of Clinton which it was well documented by this blog no one was laying any glove leather on Obama in the media, which in turn revealed what frauds and shills the major media are in being leftists leading the right on cue. Peggy Noonan being the perfect example to Noel Sheppard and Matthew Sheffield at Newsbusters calling people who questioned Obama's motives as "suffering from Obama derangement syndrome". Glenn Beck is such a persona of the global elite. He gives an interview about being a kindred soul of George Clooney, finds Mormonism a warm and fuzzy religion for little girls, is convinced of global warming, trashed Ronald Reagan and then states he can't remember saying all of that. He is caught on mic at CPAC in saying the Republicans are as bad as the Democrats. All of this caused a justified outcry, but as Kathy Shaidle only noted in her blog, Rush Limbaugh was the one who had his finger on this in hinting exactly what Beck was up to. Glenn Beck is part of an effort to create a 3rd party to ruin the Republicans, so a grinning David Brooks Obamite can have Obama elected to a landslide 3rd term. Glenn Beck is part of this same fractionalizing group of moles who are in place like Bob Barr to keep the Reagan coalition from forming again. This same group led by Democratic operatives in crossing over and voting in GOP elections (Note that this blog called for reforms in states so that people could not vote in other party's primaries, but Michael Steele and the GOP have not moved an ounce to stop this, nor has the DNC. The chaos of vote crossover keeps American candidates from being elected. What one gets then is a John McCain and Barack Hussein Obama which neither party really desired.) is what caused the disaster of 2008. Beck as Mr. Limbaugh notes is heading this as part of his payback for his 30 pieces of silver. Glenn Beck is literally part of this Molotov Mob which goes around throwing out incendiary rhetoric for their profit and position, with the caveat in their contract they are there to do a Peggy Noonan in betraying their party at the opportune moment so a globalist mole like Obama will be elected. Note Noonan after the disaster tried to sound "conservative" again, but was typing more like a drunken keyboard operator. The same is true for most of these moles, except Shep Smith who has drunken so much Obama green kool aid that he whines like Bo the Obama dog. 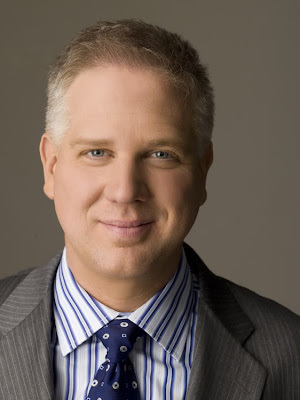 This is who Glenn Beck is, a signed up stooge meant to lead the masses enough to a 3rd party. This is what Baldy Schmidt was up to in trying to ruin Gov. Sarah Palin from inside the McCain camp. Schmidt is like Beck in being a patrician mole answering to the power elite. There are always the Ron Paul followers who when shown that Paul votes 20% to 50% as a liberal according to actual votes, who will still believe the kool aid and follow a Glenn Beck in making excuses for him. Glenn Beck is part of this national socialist movement which is exactly the policy the Nazi's were up to in Germany. He is a 5th column agent provocateur. He is by Obama in government control taking over American finance, industry and health care, an Obamanazi. He is their operative to promote a fracturing of the GOP so Democrats can diffuse the Tea Party movement long enough so Obama can infuse 40 million Mexican illegals into the Democratic voting block. That is why Democrats are not committing suicide in Obama votes. They have this planned out to make 40 million illegals American voters to give them a landslide in 2010 and 2012. Glenn Beck is the lead in this to fracture the American right in part or all in whether it is 3% or 50% of the vote in a 3rd party to re elect the Marxists of Obama in his hybrid party of black revolutionaries out of South America, Marxists of Africa, Muslim oil mafia, Islamocommunists, Islamofacsists, National Socialists and Communist Bolsheviks with a touch of his favorite system on earth, Maoist Chinese. 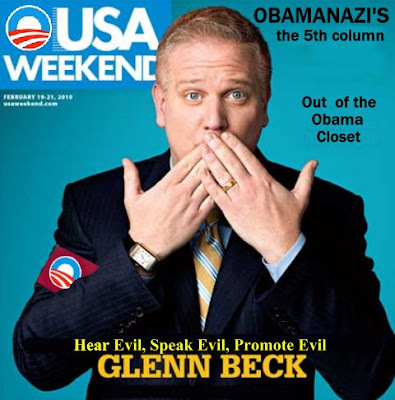 Glenn Beck is a Pravda past and Joseph Goebbels future for America. It is quite repulsive in someone being paid for sedition in America and treacherous to accept money to say things to manipulate people according to Tavistock doctrines. In closing, I would point out that Hal Turner was outed not that long ago in being an FBI operative in order to keep an eye on and manipulate the white racist movement. Hal Turner is not the only operative in these operations. This is a widespread manifestation and in all of this it looks like Glenn Beck is such a stooge like Jesse Jackson to keep a hand on that group who are pro American and are about to reignite the Reagan Revolution. Interview with Russia Today English edition re complaint to the UN human rights commission. It was transmitted to billions of viewers on all 6 continents. Dr. Sam Vaknin is a world authority on narcissism. Vaknin says that Obama's language, posture and demeanor, and the testimonies of his closest, dearest and nearest suggest that the Senator is either a narcissist or he may have narcissistic personality disorder. Pathological narcissism is a pattern of thinking and behaving in adolescence and adulthood, which involves infatuation and obsession with one's self to the exclusion of others. It manifests in the chronic pursuit of personal gratification and attention (narcissistic supply), in social dominance and personal ambition, bragging, insensitivity to others, lack of empathy and/or excessive dependence on others to meet his/her responsibilities in daily living and thinking. Sky news covers Obama "birther movement"
by DefendUSx February 27, 2010 LOL .. so, the original birth cert burned in a fire aye? .. so, what we get is an "electronic" (don't you really mean PHOTOSHOP image) record of "Certification of Live Birth" .. which are given to foreigners anyway. 6) It was submitted to Obama and his staff and then placed on "Fight the Smears"
9) In an attempt to "fill in" what was missing from the original, two other versions were created. The first contained the Registrar Seal (which the public originally found missing as well). 10) The second version didn't "hold up", as it was still missing a Registrar Signature and "creases"
14) HI Advertiser receives major government funding and is owned by "prominent Democrat"
One of the more bizarre rows in American politics has resurfaced as the country prepares for crucial mid-term elections this year. The so-called 'birthers' movement, which questions whether Barack Obama was born in the US and is therefore a legitimate president, has cropped up on the campaign. A representative in Arizona's state senate has even introduced a 'birth certificate bill' because she says constituents are so worried. But J D Hayworth, who is running against former presidential candidate John McCain in the race to be Arizona Senator, questioned Obama's credentials on a radio show. McCain, who lost out to Obama in 2008, criticised Hayworth for giving oxygen to the 'birther' debate. 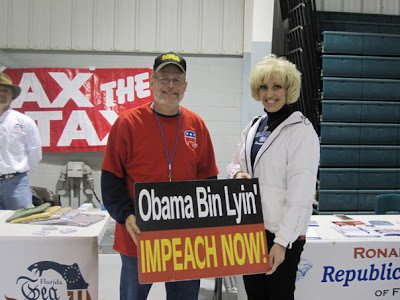 And supporters at one of Hayworth's rallies openly questioned the president's right to be in office. Alan Becker said: "If it was in question and someone questioned me about my birth certificate I would give it to them and say 'Here it is'. "Why can't he do that? Democrats in Arizona have dismissed the bill, introduced by Representative Judy Burges. Kyrsten Sinema said: "This bill is what I would call patently ridiculous and offensive. "The truth is that he was born in the United States and has provided that proof time and time again." The 'birthers' are perhaps the most bizarre of the protest movements against the president. 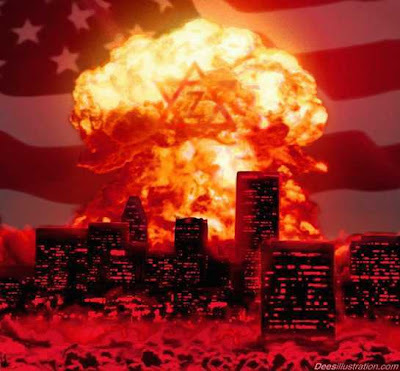 Genuine concerns in the US are often being drowned out by more extreme voices. Former president Jimmy Carter has suggested that much of the opposition to Barack Obama is based on his race. But Hayworth, who says the Obama issue is now settled, believes questions remain. He said: "We require voters to demonstrate they are who they say they are, I think everyone on the ballot should do that." Glenn Beck's Massive Ratings CRASH due to Operation Flood It? The readers of The Conservative Monster were a big part of teaching Beck a badly needed lesson and we hit him where it hurts, IN HIS RATINGS. Beck went from 3.7 million viewers on Jan. 20th, 2010 to just 2.4 million viewers on Feb. 24th, 2010. This is a HUGE MESSAGE that WE sent to this FRAUD. I have been relentlessly getting the word out to let people know that I believe Glenn Beck is part of a conspiracy to undermine the Obama eligibility movement. These massive ratings drops began 3 weeks after the 1st Operation Flood It (Jan. 4th, 2010) and the 2nd that took place on Jan. 20th, 2010. I organized thousands of people to flood Beck's phone lines, demanding that he end his suppression of the Obama Eligibility crisis, issue and pending lawsuits. Instead of being a patriot, he acted like a LEFTIST. Beck used Saul Alinsky tactics against his own fans and this is punishment. Pastor Manning was also a tremendous help in the success of Operation Flood It along with the thousands of people on my Facebook page. This was a team effort of patriots that are fed up with the lies coming from the media on the biggest eligibility crisis that this country has ever faced. Was it worth it making a deal with the devil? Glenn? There is plenty more coming Glenn, because you made the wrong enemy on Jan. 4th, 2010. PLEASE BOYCOTT BECK AND O'REILLY...THEY ARE OBAMA SHILLS AND HAVE BEEN DECEITFUL TOWARD THEIR VIEWERS AND ALL AMERICANS WHO WANT TO KNOW THE TRUTH! I was asked to research this by a patriot friend, someone who has served their country for many years. I could not refuse. I like Glenn Beck. I wish that he would practice what he preaches. I diligently have tried to practice what I preach and have avoided criticizing those taking a different approach to the Obama eligibility question. I want Glenn to shut his mouth for a moment and listen. Glenn, if you are listening or reading. I will be glad to meet with you. In private if you wish. Glenn Beck, if you had simply chosen to avoid the Obama eligibility questions it would have been cowardly, irresponsible journalism and an affront to the US Constitution. But when you opened your ill informed mouth and attacked concerned Americans, repeatedly, for asking questions and exercising their First Amendment rights, you crossed way over the line. Is our protest against Glenn Beck Hypocrisy working? 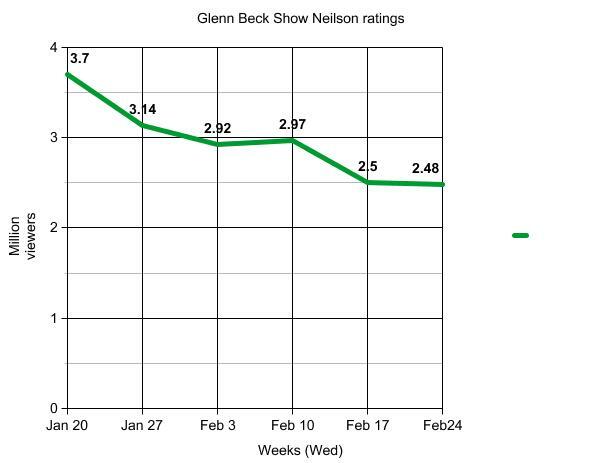 Beck loves to use graphs so I have prepared one for the last six weeks of Neilson ratings for the Fox Glenn Beck show. It appears to me that Beck’s viewership is declining as a result of his insults. Glenn Beck, are you paying attention? Glenn Beck, I am still waiting on a call. Or you can simply apologize to Americans, shut up and listen. It would certainly be that, and an analysis of the voting records of these two men from the Grand Canyon State via vote ratings from the American Conservative Union (ACU), National Journal, and the Americans for Democratic Action (ADA) highlights just how good a bargain it would be. Looking first at the ACU numbers, we see that Hayworth’s ACU lifetime rating of 98 is significantly higher than John McCain’s lifetime ACU average of 81. In fact, in John McCain’s 22 years in the Senate prior to last year, he was only able to equal or surpass Hayworth’s low-water mark of 88 (in ’03) three times (’94, ’95, and ‘96). What’s more, with the exception of 2003, Hayworth voted with the ACU position at least 96 percent of the time every year he was in Congress — a feat that John McCain has only achieved once. With respect to National Journal’s ratings, Hayworth’s average score for the 12 years he served in the House was 22 points higher than John McCain’s average rating over this same period (National Journal ratings are only available for McCain for this 12 year period, as he did not vote enough in ’07 or ’08 to receive a rating and scores are not available prior to ’95). To put this in perspective, this gap is greater than the 21-point margin in 2008 between Senators Sam Brownback and Arlen Specter. Additionally, just as it was with the ACU data, Hayworth’s least conservative year fairs very well against McCain’s average year. In fact, Hayworth’s least conservative score (78) is higher than any score John McCain has received from National Journal since 1995. As for the ADA ratings, they too show that Hayworth is clearly the most conservative choice to represent Arizonans alongside Jon Kyl in the U.S. Senate. According to ADA statistics, McCain and Hayworth have voted against the liberal ADA position 85 and 96 percent of the time, respectively, over the course of their congressional careers. However, as clear as this data shows the difference between these two men to be, the ideological gap between them is actually even greater, as the above analysis does not take into account that there are really two John McCains — the McCain of the late 80s and most of the 90s, and the oft-yielding maverick Republican that we have known since. From 1987 when John McCain first entered the Senate through 1997 his average ACU rating was a respectably conservative 88, but from 1998 through 2008 his average score fell to a less than stellar 73. To put this in perspective, only four current Republican senators have a lifetime rating that is less conservative than McCain’s average rating over this latter period (Snowe – ME, Collins – ME, Voinovich – OH, and Murkowski – AK). And the clear distinction between these two periods is such that McCain’s least conservative result prior to 1998 of 80 has only been surpassed once since (an 81 in 2000). John McCain’s penchant for spending time on the other side of the aisle in the last decade is also evidenced by the voting statistics from National Journal and the ADA. The average ratings received by John McCain from these two groups were 10 and 12 points less conservative, respectively, for the period since 1998 than they were for the period prior. In fact, since 2000 only six current Republican senators have received a National Journal rating for any given year that is less conservative than the average score of 62 that McCain has received since 1998. What’s more, since 2001, McCain has, on average, ranked as the 9th least conservative Republican in the Senate according to National Journal’s ratings. Contrast this with Hayworth, who in his 12 years in Congress ranked, on average, as the 46th most conservative member of the House — putting him solidly amongst the top third of Republican representatives during this period. So as you can see, Hayworth is right when he states that “Arizona Republicans will have a clear choice in the August 24 primary.” On the one hand, they can choose John McCain’s unique brand of hit-n-miss conservatism, and on the other they can choose someone who actually is — at least as Washington Republicans go — a true conservative. Oblahma Regime Sticks To Global Warming Hoax- How Long Will This Obama Criminal Scam Be Allowed? Energy Secretary Steven Chu didn't reach the pinnacle of his profession by treading the well-worn path of modern group-think. It's regrettable that the Nobel Prize-winning physicist is stuck in that rut now. Mr. Chu took great pains in a Feb. 19 speech to a Denver energy summit in arguing the case for human-induced climate change. "We have to convince all of America that this is a nonpartisan issue. ... This is our economic future," he said. You have to feel for a man of science trying to make the jump to politics. In science, facts speak for themselves. In politics, facts are often run to ground by baloney. As energy secretary, Mr. Chu has traded fact for fiction and now spends his days selling President Obama's discredited climate-change policy. Surely, Mr. Chu must be aware that the case for human-induced climate change, the cause that he has embraced as the paramount mission of his secretariat, has been exposed as fraught with fraud. Two weeks ago, Yvo de Boer, the United Nations' pre-eminent climate-change official, announced his resignation amid a groundswell of derision over his failure to confront the global-warming hoax. Evidence of falsified data, errors in the U.N.'s own Intergovernmental Panel on Climate Change report and biased ground-based temperature data are all part of the body of bogus science that has become known as Climategate. On Wednesday, when Mr. Chu toured the site of Abu Dhabi's Masdar City - touted as "the world's first carbon-neutral, zero-waste city" - he felt compelled to voice climate-change-equals-jobs rhetoric similar to that which he delivered in Denver. When completed, the sparkling 6-square-kilometer model city will be equipped with the world's priciest energy technologies, including solar, hydrogen and geothermal power plants - energy toys that a few opulent oil sheiks can afford to play with, but a country the size of America cannot. What he saw there will not be "our economic future," at least not anytime soon. Mr. Chu's official government biography crows that he has "devoted his recent scientific career to the search for new solutions to our energy challenges and stopping global climate change - a mission he continues with even greater urgency as secretary of energy." The Cabinet secretary could learn from the example of the wise Viking King Canute. Legend has it that when His Majesty learned that his flattering courtiers were claiming he was "so great, he could command the tides of the sea to go back," he had his throne carried to the seashore. When the tide rose, he commanded the waves to halt. When his command had no effect, he pointed out to all that though the deeds of kings might appear great to men, they were nothing compared to the forces of nature. Likewise, the energy secretary would be smart to apprehend the limits of his power. Climate will change - or cease changing - but not by his leave. The real challenge of helping Americans develop clean, affordable and plentiful energy sources should be enough to occupy his days in office. Every day efforts intensify to intimidate or discourage Americans who rightly insist that Barack Obama properly document his constitutional eligibility to hold the office of President of the United States. It has even spilled into the political arena. In Arizona John McCain apparently believes that the mad stream media’s scurrilous slanders against such constitutionalists have succeeded. His campaign is airing commercials identifying J. D. Hayworth as such a constitutionalist, as if that alone is sufficient to turn all right thinking Arizonans against him. In contrast, Obama and his Secretary of State Hillary Clinton are apparently clueless about some of the most basic aspects of foreign policy: supporting one’s friends and fencing in one’s adversaries. The declaration of neutrality on the issue of the sovereignty of the Falklands issued by the US State Department is clear proof of the uselessness of the Obama administration. ...this mess is just typical of the drift in US foreign policy – if one can say that it even HAS a coherent foreign policy these days. As I said, at the core of the problem is a simple inability to recognise and support our friends over adversaries. 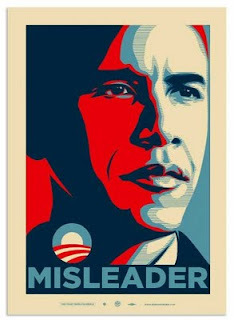 In his first year in office Obama made numerous apologies for America’s past to the Third World, he effusively greeted the Venezuelan dictator Hugo Chavez, he bowed low to the Saudi ruler, and called for a “reset” of relations with Russia – all the while implying that America was at fault for all these problems. At the same time he rudely undermined the security of America’s Eastern European allies by cancelling the ballistic missile defence with no notice and no prior discussion, he failed to push for a free trade agreement with Colombia – America’s strongest ally in South America – and he supported Chavez’s allies when they tried (luckily unsuccessfully) to unseat a democratic and pro-US government in Honduras. ...On assuming office, Obama’s vision of foreign policy was simple: he would repudiate past American policies and the whole world would melt before the president’s charm. The administration somehow thought that we really didn’t have enemies with agendas completely hostile to our own – there were just countries that had become offended by US actions and they would happily cooperate with America as soon as the evil Republicans were gone. Well, it hasn’t worked – and there was no Plan B. WE POSTED THIS THE OTHER DAY. BTW: THE BRITS ESTIMATE THAT THE FALKLANDS CONTAIN 60 BILLION BARRELS OF OIL. OBAMA IS HELPING BRAZIL DRILL FOR THEIR OFF-SHORE OIL, BUT IS NIT HELPING THE BRITS AT ALL. SIMPLE: IT'S HIS LEFTISM: HE IS BIASED AGAINST EUROPE (AND OUR ALLIES) AND IN FAVOR OF THE SO-CALLED THIRD WORLD AND OUR FOES. 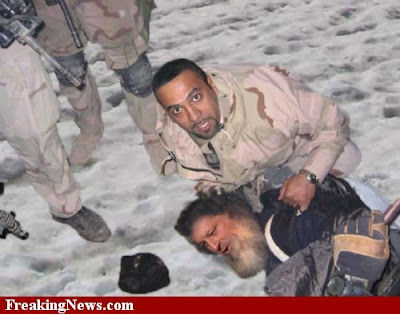 OBAMA BOLLIXED UP OBAMACAREE AND HE IS BOLLIXING UP FOREIGN POLICY. OBAMA: WORST PRESIDENT EVER - ON RECORD TIME.